The first Rotterdam set sail in 1872, beginning a Holland America Line tradition of elegant cruising and impeccable service that continues through Rotterdam VI. Commemorating the history of the Rotterdam ships, fascinating Holland America memorabilia, art and antiques can be found throughout the ship. 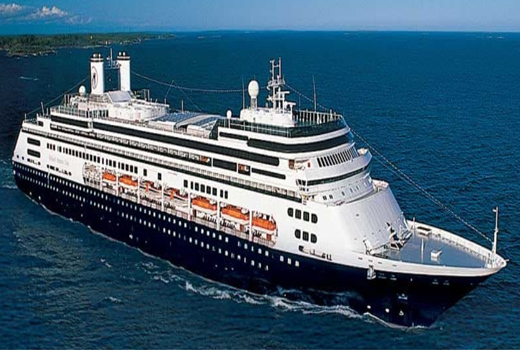 The collection includes remarkable clocks and time pieces, contemporary art by recognized artists, and antiques that represent the rich seafaring heritage of Holland America Line. A highlight is a beautiful 18th-century ship model carved from bone. The Rotterdam ensures you the ultimate onboard experience with her graceful combination of classic cruise ship features and state-of-the-art amenities.